Big Blue Adventure is proud to partner with Elite Triathlon Performance America (ETPA) and Head Coach and Director Raeleigh Harris. Register now for your race specific training plan. These beginner level plans are designed to get you to the start line feeling confident and to the finish line feeling strong. Unlike other generic plans these prepare you specifically for the event of your choice. Course profile, conditions, and all the corresponding training requirements. The plans are written and overseen by ETPA Head Coach, AG 70.3 IRONMAN World Champion and Truckee resident Raeleigh Harris. Click on your plan below! Founded over 12 years ago in Australia, ETPA rapidly developed into an industry leader branching into the USA triathlon world in 2013. 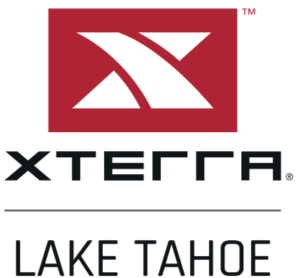 Now established in the East Bay and Lake Tahoe, ETPA continue to offer the Triathlon and Endurance racing community fully customized and group training plans for all levels of athletes sprint through Ironman distance from beginner to world class. ETPA’s mission is to support athletes to reach their potential through robust fully custom programming, group training, private and group clinics, training camps, and social events. If you have an Ironman event on your bucket list, want to complete your first Triathlon or are looking to unleash your potential ETPA has the coach and training plan for you. Raeleigh holds an honors degree in Human Movement/Sports Management, is a certified Triathlon coach in Australia and the USA, and was a high performance Alpine Ski coach for 5 years. She has been involved in the sport of triathlon since 1987 and in 2013 underwent a twelve-month coaching internship with leading Australian Ironman Coaching Provider, Elite Triathlon Performance Australia. Raeleigh started racing as a junior and won her first Australian state series in 1987 and has more recently competed in four 70.3 World Ironman Championships finishing 6th, 8th, 1st and 8th in her age group. She races both on and off road triathlon and was the first place female in the 2017 Great Trail race. Triathlon Coaching is Raeleigh’s instrument empowering athletes to reach optimal performance in training, racing and life. Triathlon is made up of seven disciplines, and by addressing all of them in training athletes are enabled to perform at their best. “The sport of triathlon is truly unique” says Raeleigh. “No other sport is like it. Where else can you be immersed in such an inspiring, supportive and diverse global community while competing alongside the world’s best all the time while pursuing your own personal, and often lofty goals” she asks? Raeleigh works with endurance athletes of all ages and backgrounds helping them reach their potential given their own specific set of life circumstances. Her “precise purpose“ philosophy ensures there is an objective for every session supporting athletes to get the most out of their training underpinned by four key pillars of safety, fun, education and trust. 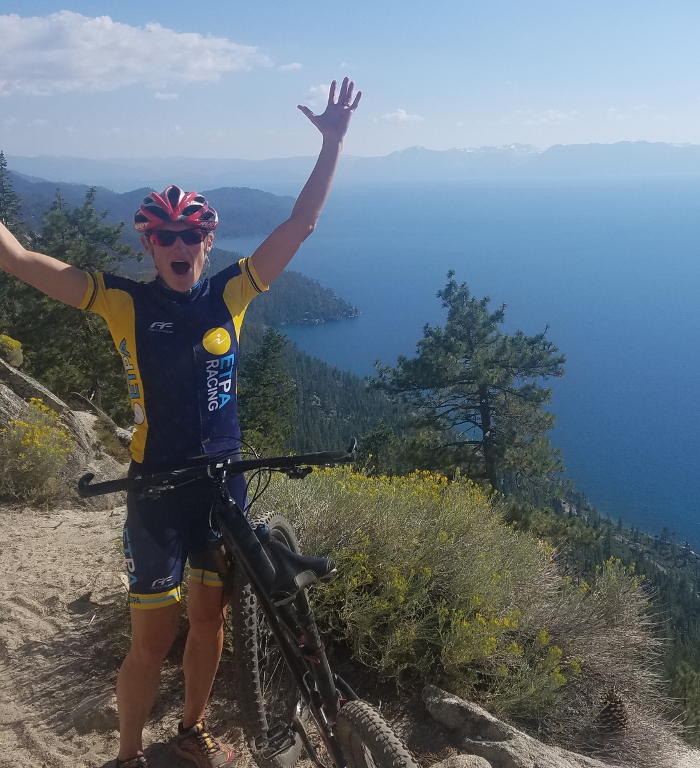 Outside of triathlon Raeleigh embraces doing and seeing new things – from a mountain bike adventure on a new trail or hiking to an unexplored alpine lake near home in Truckee CA – she loves getting into the great outdoors. Raeleigh enjoys cooking healthy and unusual meals – especially using local and organic treats from the weekly veggie box. Raeleigh has supported Big Blue writing training plans for competitors since 2015. Be consistent – being regular is more important than getting in long intermittent hours. Understand the power of all of the disciplines of triathlon – they all play an integral part and become more and less important throughout the training cycles and annual plan depending on racing and training demands – add to swim, ride, run; your nutrition, your mind, your equipment and your recovery/body care.